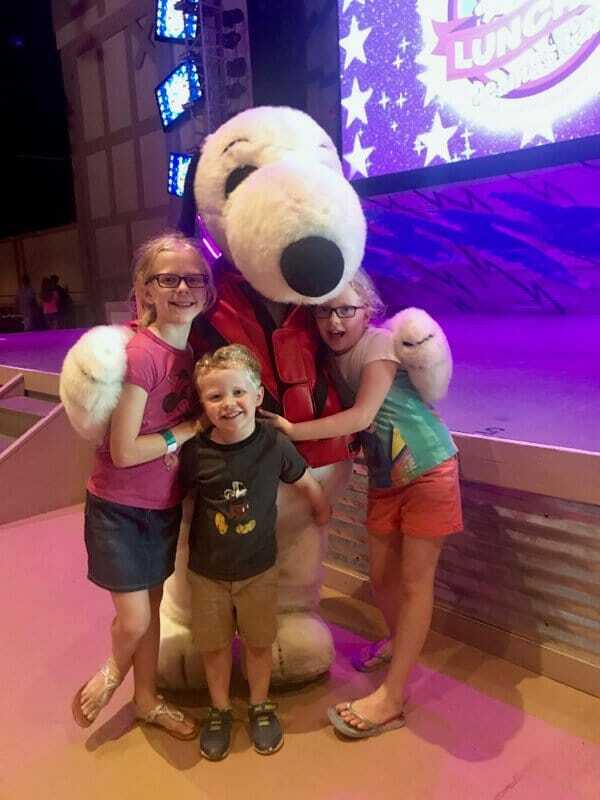 Mystic Timbers + Lunch with the Peanuts Gang = 2017 Kings Island Fun! 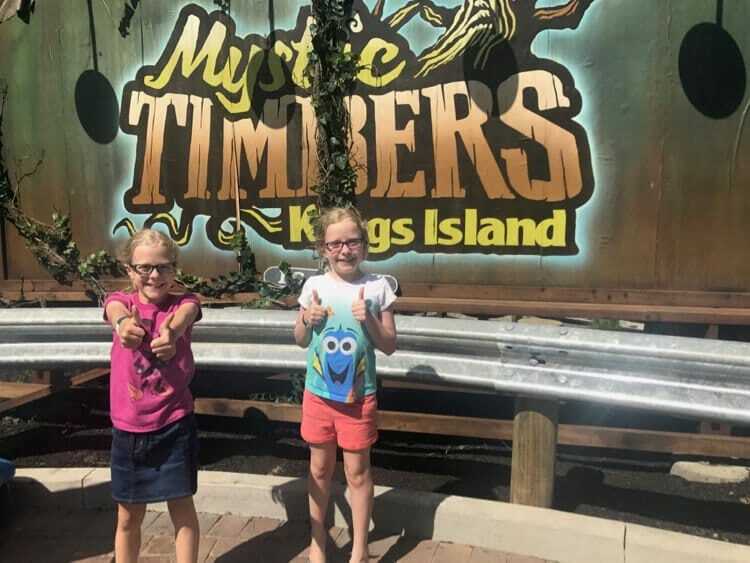 You are here: Home / Cincinnati / Mystic Timbers + Lunch with the Peanuts Gang = awesome new Kings Island fun! After last year’s mysterious reveal of the plans, we couldn’t wait to get our turn on Kings Island’s new roller coaster, Mystic Timbers! The day finally came, and we were not disappointed. We also stumbled upon a lunchtime show with the Peanuts gang, which proved to be one of the highlights of our day. The 3,265-foot track was thrilling from the start, with a hill much steeper than I was expecting. The 16 airtime hills had a sort of slalom feel I don’t recall ever experiencing on a coaster before, and it was much faster than I was expecting for a ride that I originally thought appeared to be only moderately adventurous. And of course, we found out #WhatsInTheShed. Everyone in our group loved the ride. The girls were a little freaked out going through the line (which only took about 30 minutes, just after park opening), but I reminded them that part of the thrill for many people is the build up. The story, video “reports”, and atmosphere in the queue definitely helped heighten the mysterious feel. If you have a kid that loves coasters but is easily bothered by creepy stories, it’s actually pretty easy – if you’re not in line for hours, at least – to just gloss over the story and get to the ride. In that case, only the ending is somewhat eerie. If you’re looking for a parent perspective, check out the next paragraph for details. If you don’t want any spoilers, then you’ll just want to skip to the next section…. All of the hype surrounding what lies in the shed at the end of the ride definitely served to pique our curiosity… and therefore our fear, to varying degrees. Upon arrival to said structure, the lighting and music definitely created a bit of a frightening atmosphere, but there was nothing gross or particularly gruesome. This is one of those scenarios where almost everything is left to one’s imagination – which we know can sometimes create the scariest scenes! Inside the shed, all of the “action” takes place on video screens. On our ride we saw lots of quite realistic looking snakes appear out of nowhere, but I’m under the impression that what you actually see may vary. Still, I think our biggest fear of something jumping out, making loud noises, etc was mitigated. Hopefully that helps prepare you and your kiddos, if anyone is unsure. While we were walking to meet the rest of our family for lunch at the Festhaus, we heard an announcement suggesting we eat lunch our favorite Peanuts characters in the very same spot. My son was thrilled! The show reminded us a little of our beloved Sail Away parties on the Disney Cruise ships. 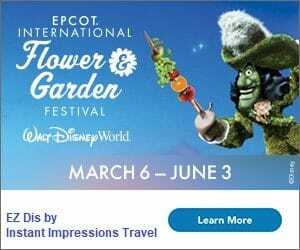 Characters and cast members sing and dance, even coming out for dance parties and meet and greets. We’ve shared our love of other Peanuts street shows, etc before, and this one was equally fun. Check out the highlights from our Instagram story below, then get your discounted tickets to check out these attractions and all of the other fun stuff Kings Island has in store!